Washington (AFP) - Worldwide web inventor Tim Berners-Lee said Tuesday he is on a mission to fix the problems of online abuse, misinformation and data protection that were not envisioned when the system was created decades earlier. 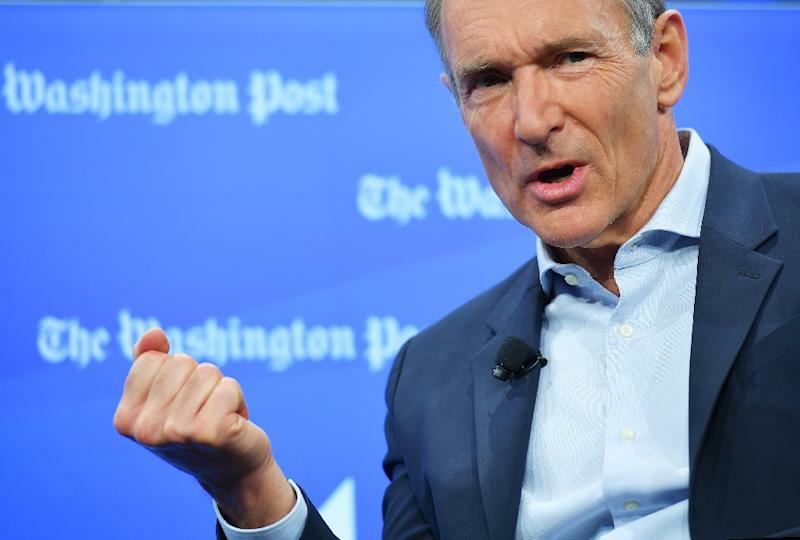 Berners-Lee, credited with creating the web in 1989, told a Washington Post event he is committed to working on solutions to rampant problems plaguing the online world. The British computer scientist said his efforts focus on two areas -- the so-called "Contract for the Web" to ensure integrity of online information, and his platform in development called "Solid" to give users control of their data. His comments come amid events marking the 30th anniversary of the web and growing fears that it has been hijacked for nefarious purposes. Berners-Lee stepped up his call to join the "contract," a project unveiled last November, that would bring together governments, tech firms and others to establish principles for online governance. "You can't just outlaw fake news, it's much more complicated," he said in an on-stage interview at the Post headquarters. "The Contract for the Web is about locking in a midcourse correction, a change of momentum, back toward constructivism, back toward science, facts." Berners-Lee said he launched the Solid projet in response to concerns about personal data being bought and sold without the consent of users. He said the platform aims "to separate the apps from the data storage" so users can decide where and how they would share their personal information. "Solid is going to be a ubiquitous data storage system that will give people control of their data," he said. The system being developed at the Massachusetts Institute of Technology aims to give users "pods" for data that may be uploaded to services such as Facebook, Amazon or Google, he added. "You can have a personal pod, you can have a work pod," he said. "You will have access to more data about yourself than even Amazon has now." The two projects were announced last year as Berners-Lee expressed concerns that his creation has been "hijacked by crooks" that may spell its destruction.